PAGeoTechnical have developed an extensive range of gas protection ventilation products that include voidformers and vent components. When installed as part of a designed gas venting system, they will safely disperse harmful gases to atmosphere. Under BS8485:2015 it is recommended that all gas protection designs should include provision for some form of sub-floor ventilation. Depending on the site risk this may be a simple pressure relief pathway or demonstrable ventilation with good or very good performance. Available as fully wrapped or single sided geotextile. PAGeoTechnical has developed an extensive range of ventilation components that when installed as part of a designed gas venting system will safely disperse harmful gases to atmosphere. All PAG passive gas venting components are supplied with venting calculations to prove their efficiency in line with BS 8485. The range includes T pipes, bends and couplings, slotted pipes, voidformer outlets, air bricks, periscope vents and many more. 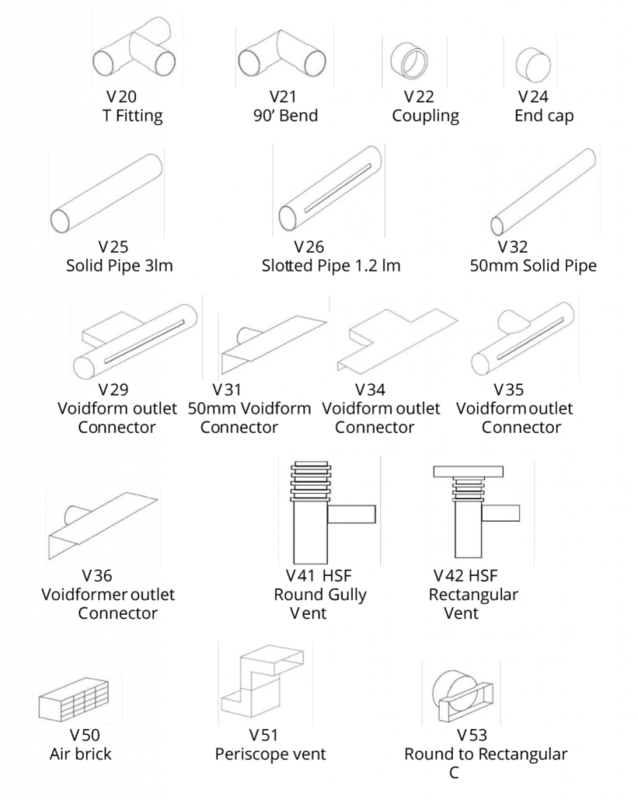 Details of venting components available from PAG. 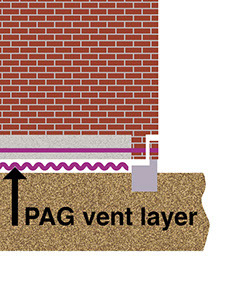 List of PAG venting components. 25mm flat topped geocomposite venting layer for passive ventilation under buildings. 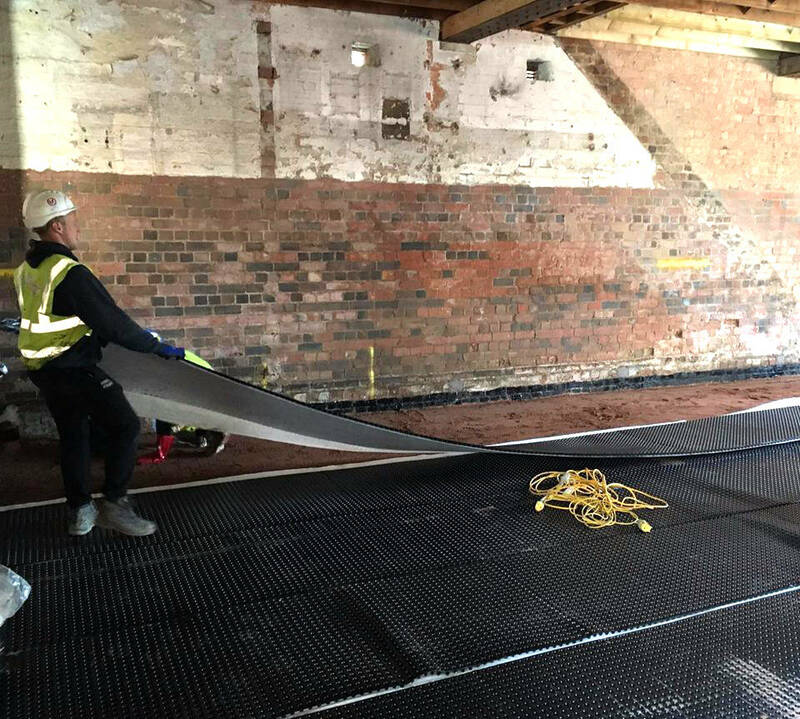 25mm flat topped geocomposite venting layer for passive ventilation under buildings.Fully wrapped for use in discrete strips. Fully wrapped geocomopsite drain for pressure relief designs underneath buildings.